Our highly experienced Sunshine Coast dentists, lead by our Principal Dentist Dr Nicholas Taft and his dedicated Team offer a comprehensive range of preventive, general, cosmetic, restorative and orthodontic dental treatments for the whole family. At our Pacific Paradise clinic, we have fitted state-of-the-art equipment, and with the level of expertise our dentists have, all our dentistry is done in house. This means you don’t have to travel elsewhere for a referral. From a complex root canal therapy and dental implants, to orthodontics and wisdom teeth removal, we’re your trusted dentists on the Sunshine Coast. Our Dentists work together, in unison with our dental hygienist and experienced team to provide you with current, state-of-the-art dental care. Dr Taft has developed a philosophy of quality patient care. 1) Our Oral Health Practitioners the most up to date knowledge in evidence based practice through following Royal Australian College of Dental Surgery guidelines. 2) We have the latest technology in imaging equipment and dental materials that give longevity to our restorations; we are one of the few practices that will give a warranty with our restorations/crowns/implants as well as the best cosmetic solutions. 3) Highly trained staff attending to our patient’s needs; deliver a great service. 4) Our emphasis on prevention based practice -using latest CAMBRA protocols to reduce dental decay/cavities meaning that have less dental work reducing fillings, root canal & crowns. 5) A hygiene department solely dedicated to reducing gum disease & periodontal disease which prevents gum recession, bad breath & early loss of teeth. 6) Extended hours/days to provide service when needed. 7) Our practice’s QIP accredited-the practice has been verified by an external body meets a set of standards that keep us continually improving safety & quality of care to patients. 10) We offer a courtesy pickup and drop off of local patients that find it difficult to attend for treatment due to illness /disability /lack of transport. 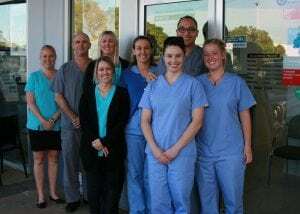 Our new practice is located just blocks from Mudjimba Beach, located in the Northshore Village complex. We have ample parking in and around the complex and our practice is close to public transport. Our team is committed to giving our patients affordable treatments with a range of easy, fast payment methods. Our practice has incorporated a range of payment plans including zipMoney MediPlan, GE Finance and also an in-house payment plan to ensure patients get high-class dental care when they need it. We also employ credit card facilities and have integrated a HICAPS machine meaning you get your private health rebate back on the spot, quickly and conveniently.